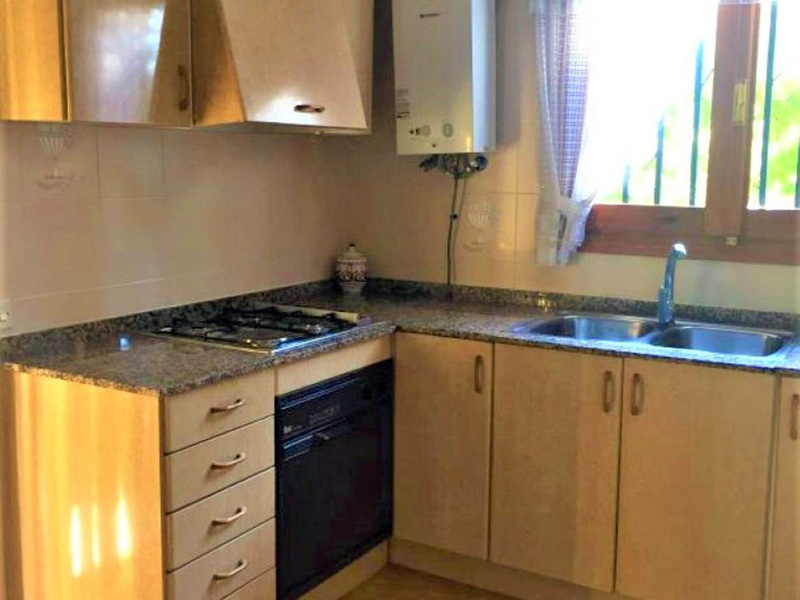 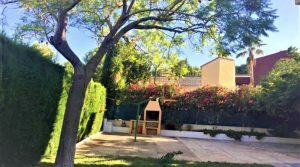 Very well presented four bedroom urbano property for sale in Valencia. 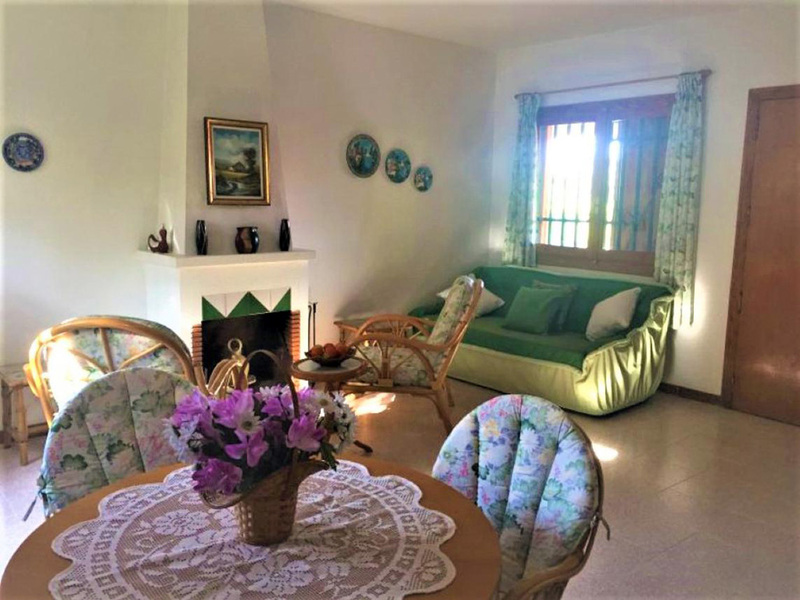 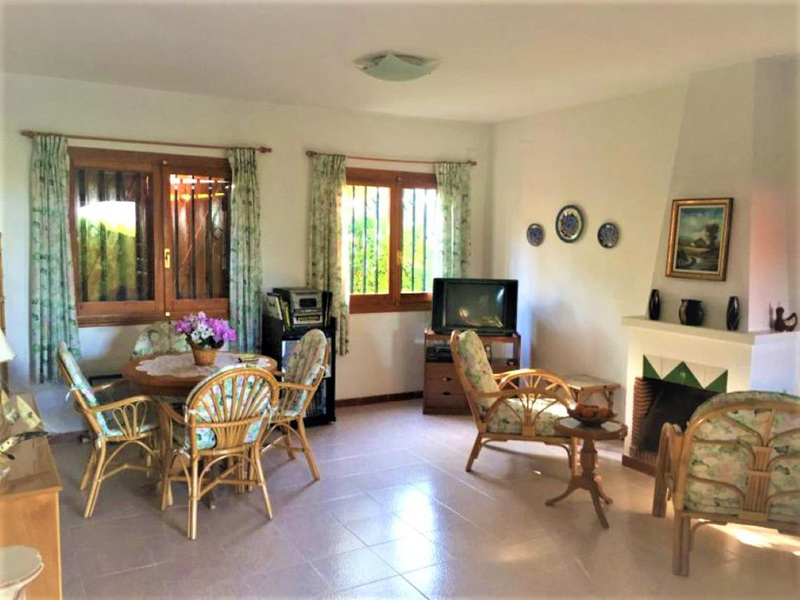 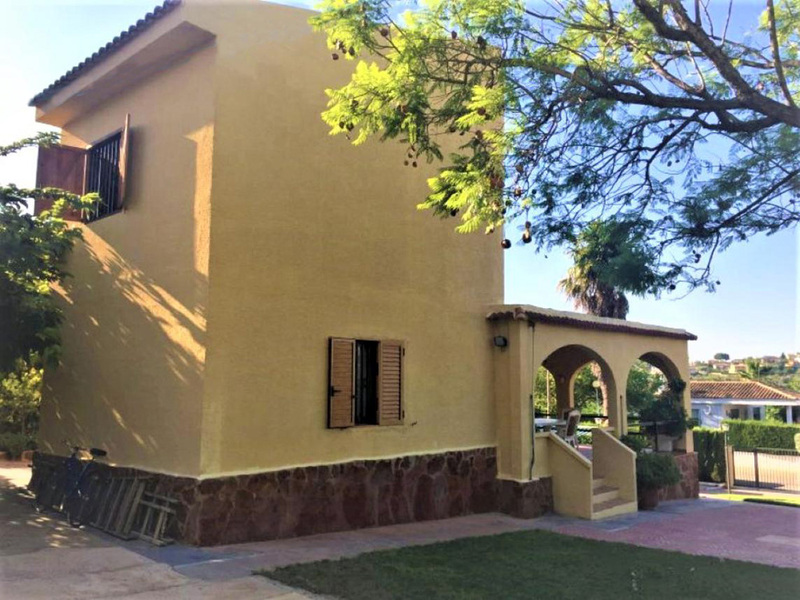 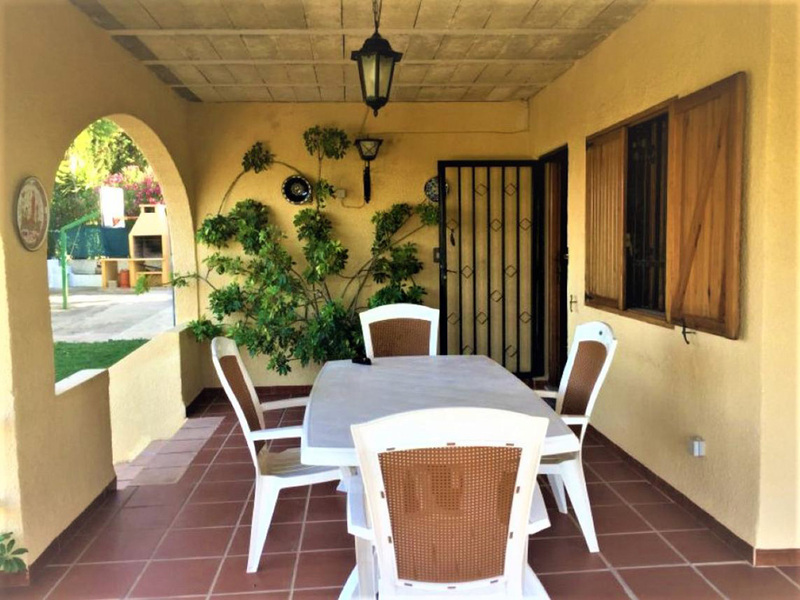 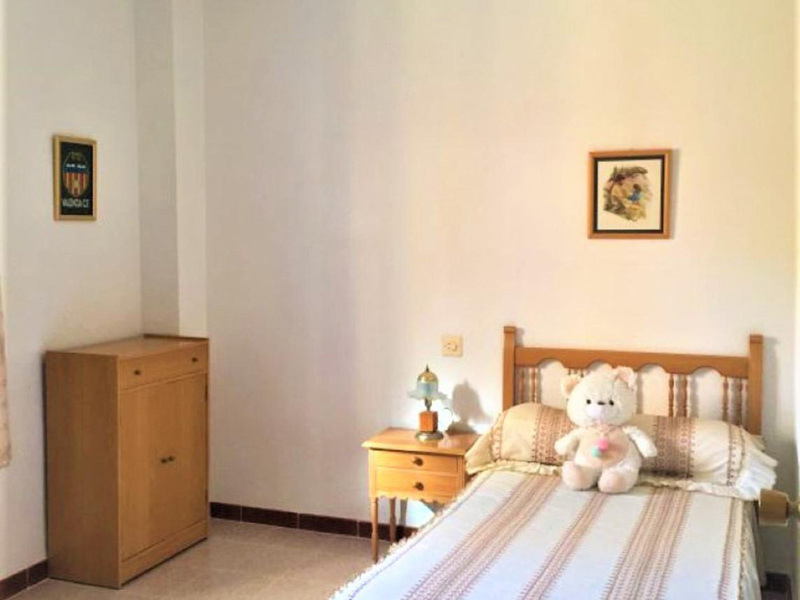 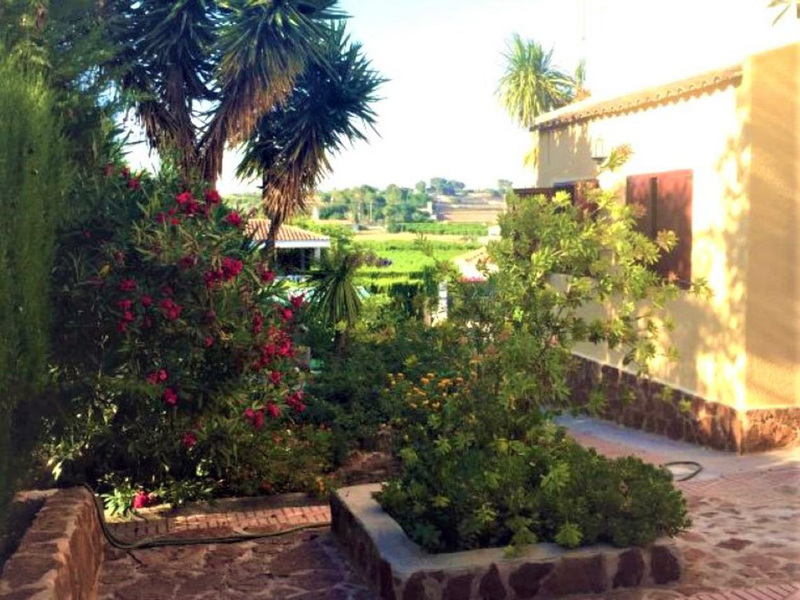 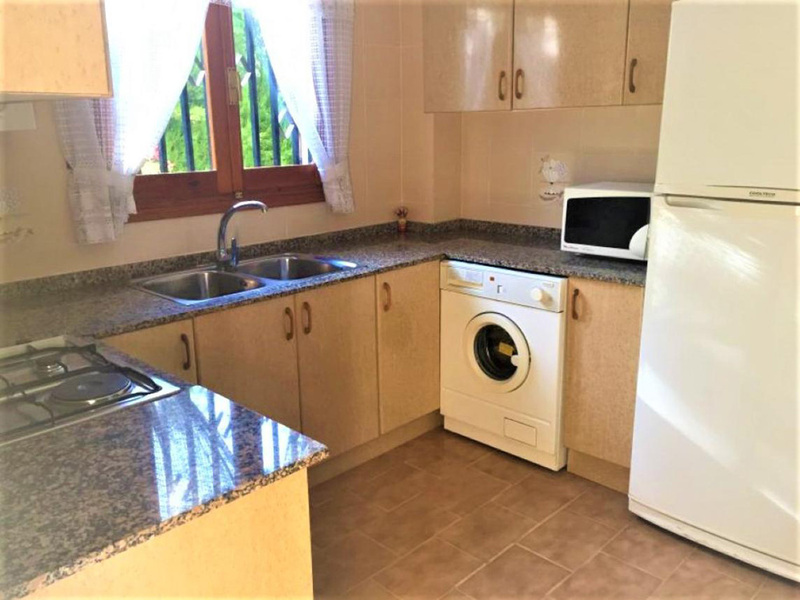 This is an Urbano property for sale near Monserrat town, situated on the desirable Urbanisation of ‘Maset del Pou’, which is a short distance outside from the town centre. 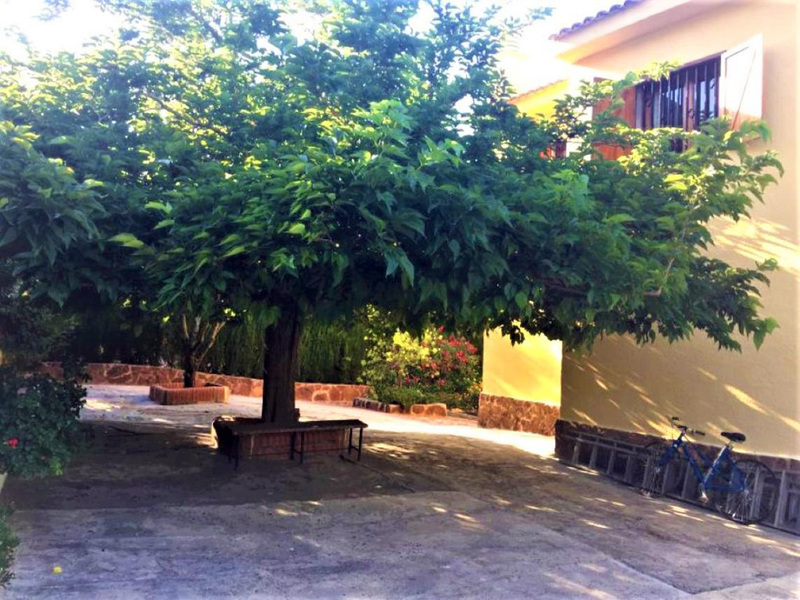 Monserrat is a large town and has three supermarkets, a choice of schools, a library and many bars and restaurants to choose from. 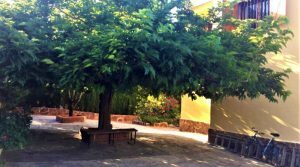 There is a bus stop at the end of the road that takes you into Valencia city. 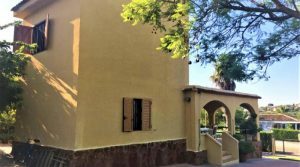 The larger neighbouring town of Torrent has a metro train station that runs in and out of Valencia practically every five minutes. 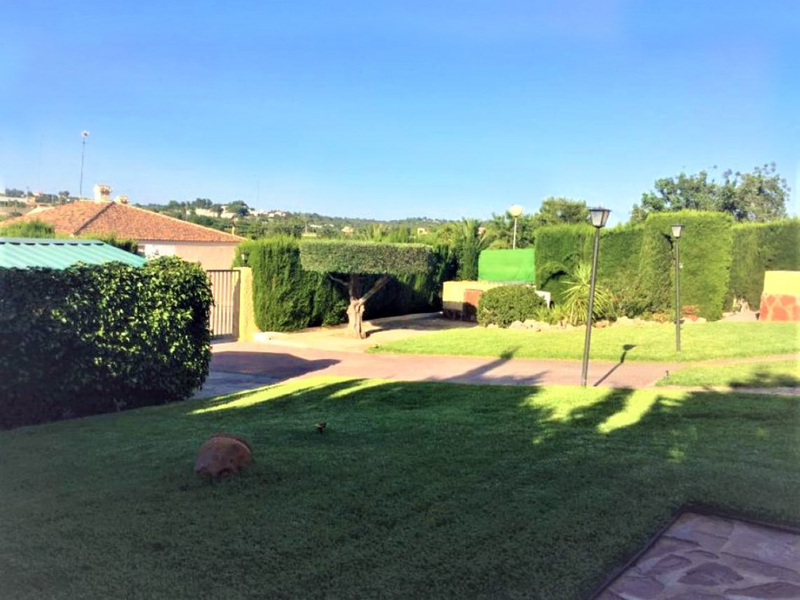 This urbanisation also has sports facilities including tennis courts. 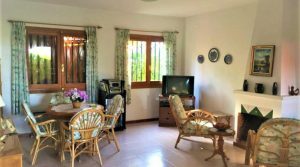 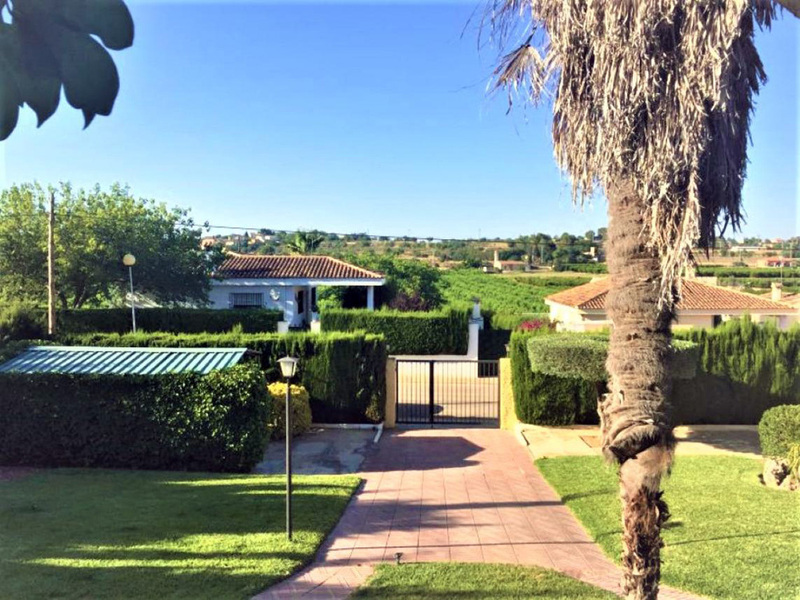 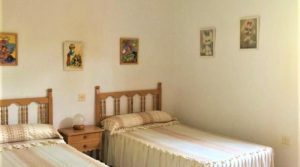 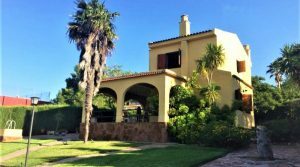 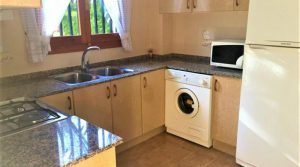 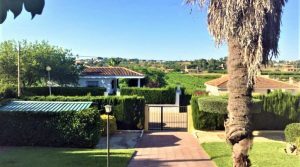 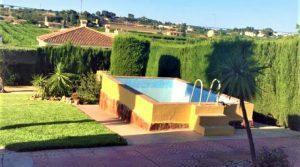 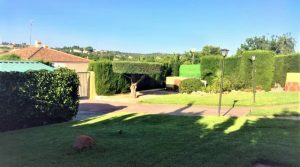 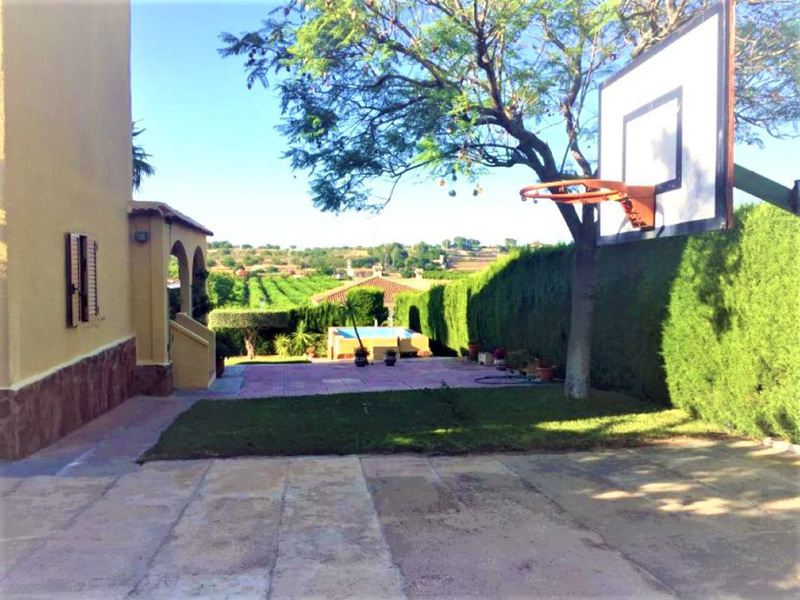 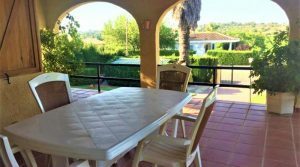 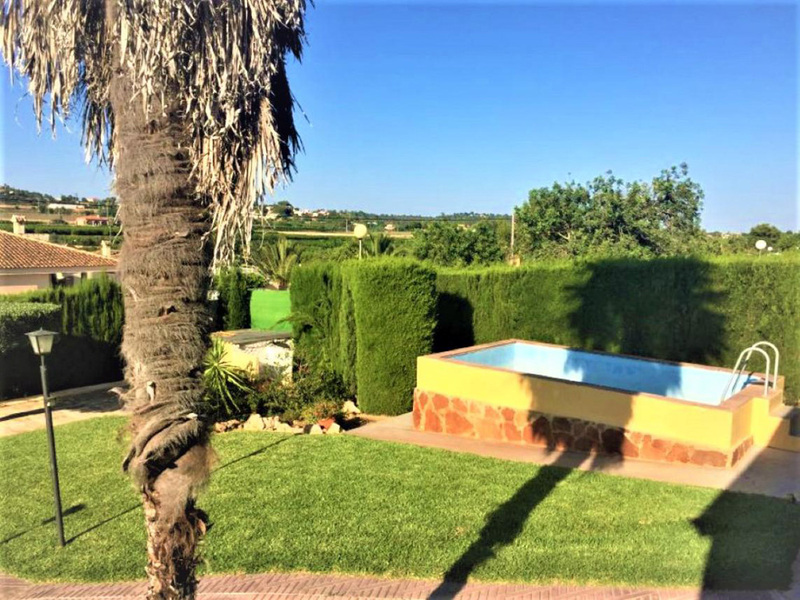 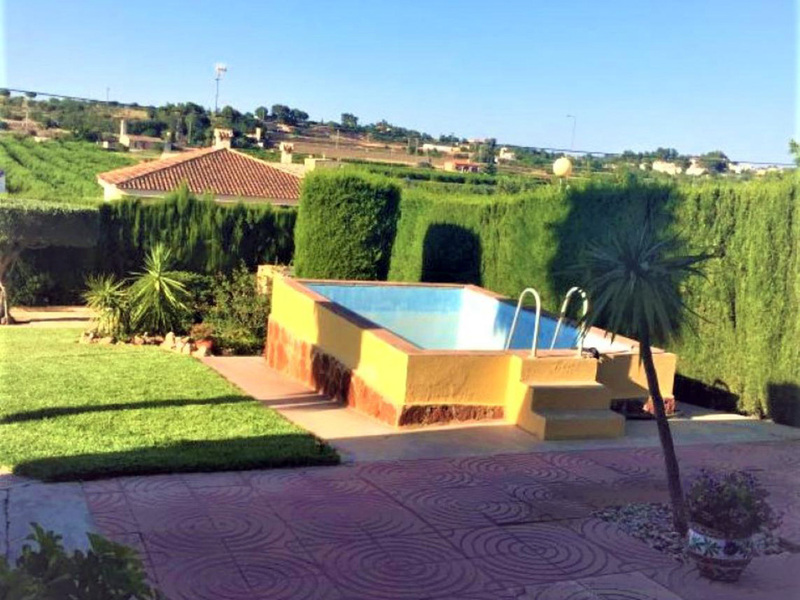 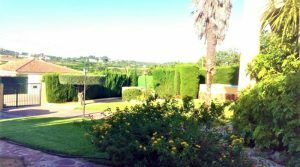 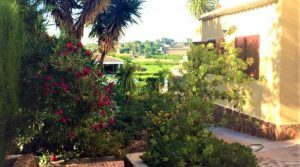 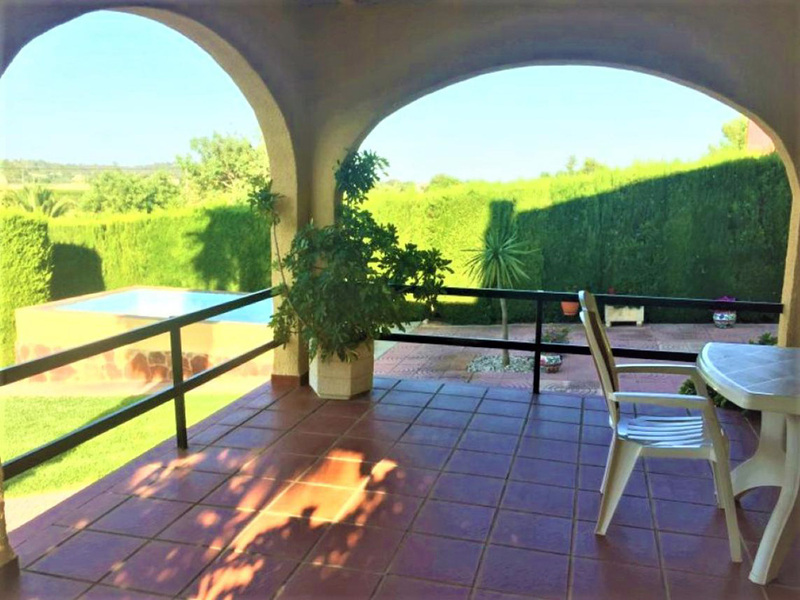 The villa has a good location with nice views and it is located just under 30 minutes drive from Valencia city and the beach. 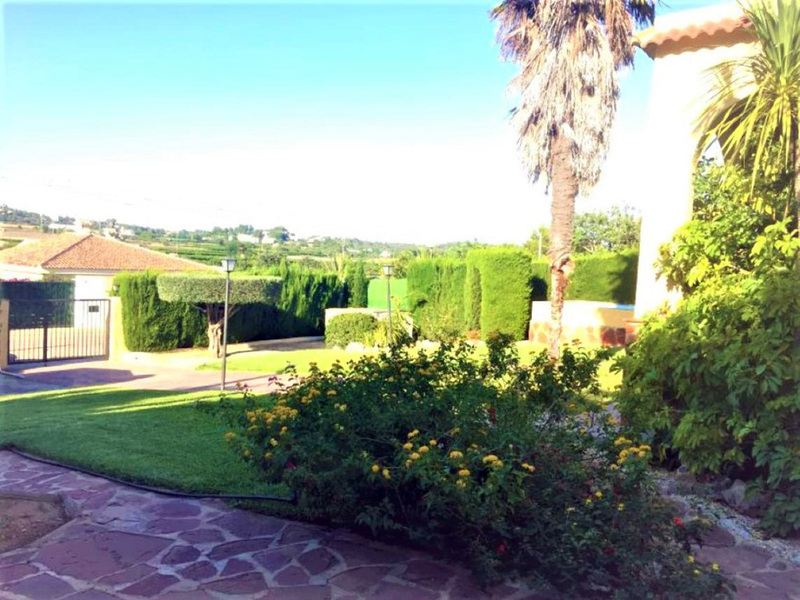 The villa sits centrally on its fully landscaped plot which has a double gated entrance. 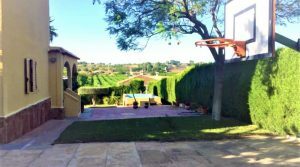 This opens onto a tiled driveway running between beautifully lawned gardens and the swimming pool situated on the side. 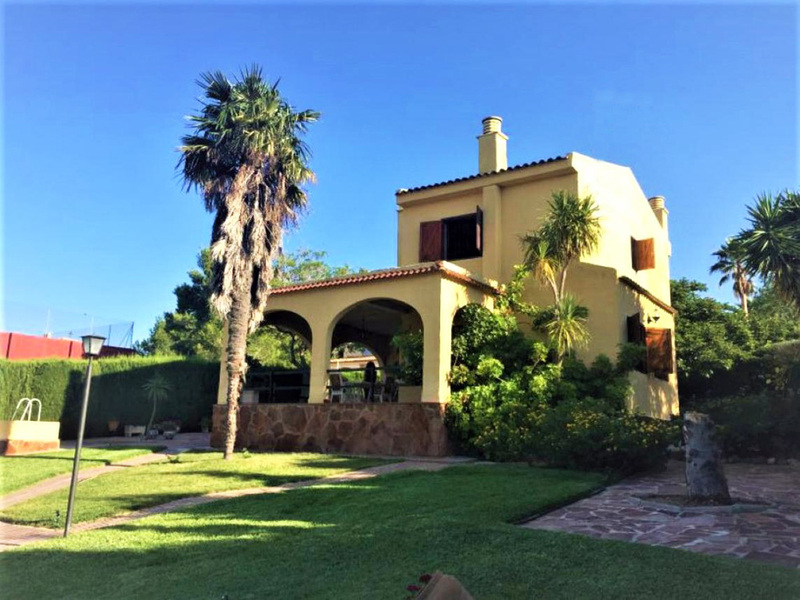 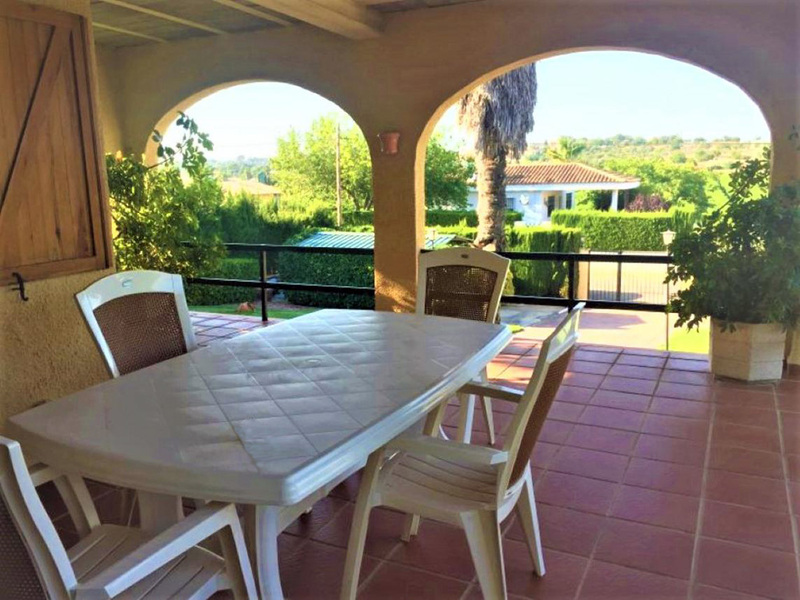 There is a large covered terrace at the front of the villa, the ideal place for entertaining and outside dining on this lovely fully tiled terrace. 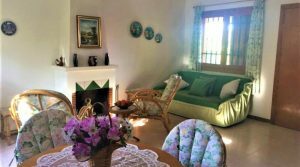 The property has two floors, with a good size lounge/dining room on the ground floor, complete with a chimney fireplace. 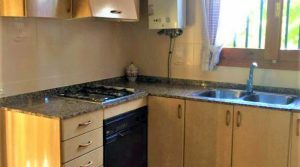 Also on this ground floor, you have a fully fitted kitchen complete with granite work surfaces and modern electro-domestic appliances. 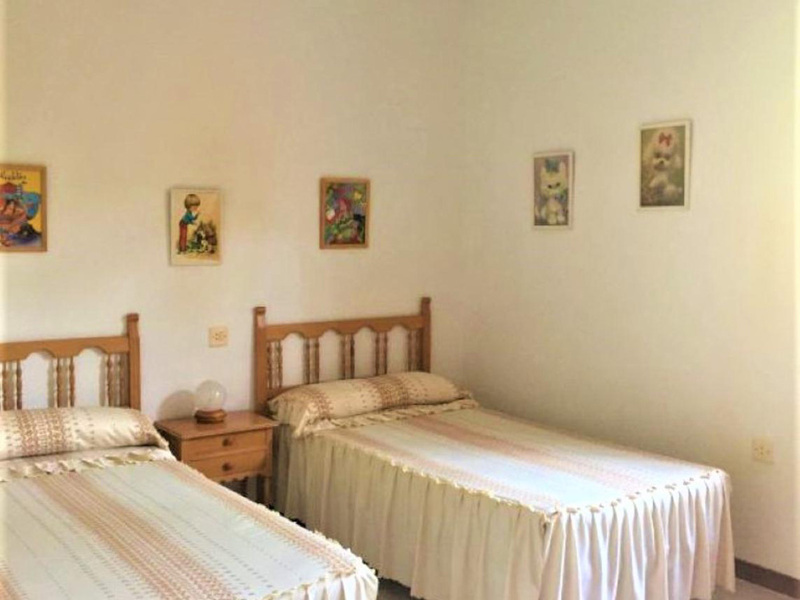 There is a bedroom and a bathroom with a shower also on the ground floor. 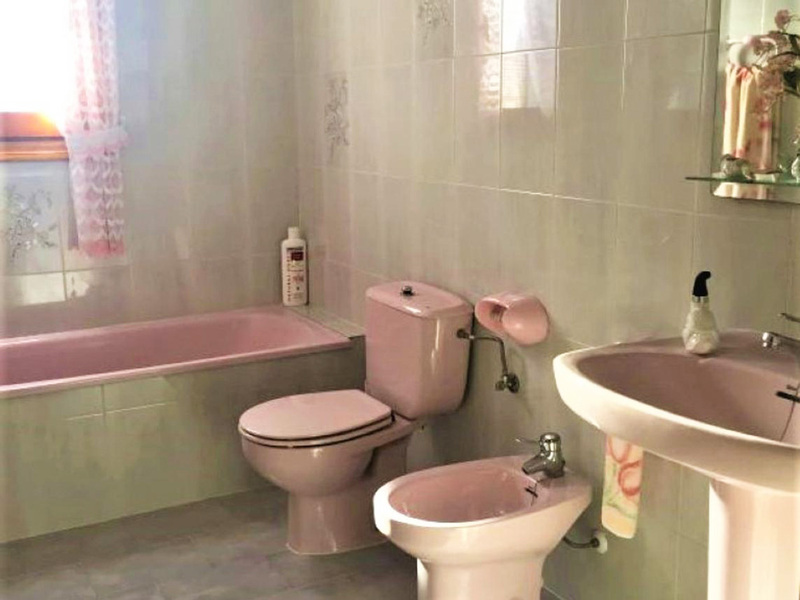 Upstairs on the first floor, you have three double bedrooms, a family bathroom complete with bath. 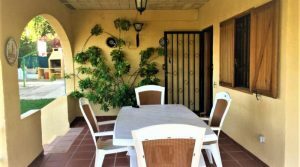 There is potential to install a door so as to go out to the balcony terrace from the front bedroom if desired, as this is the roof of the large covered terrace on the ground floor. 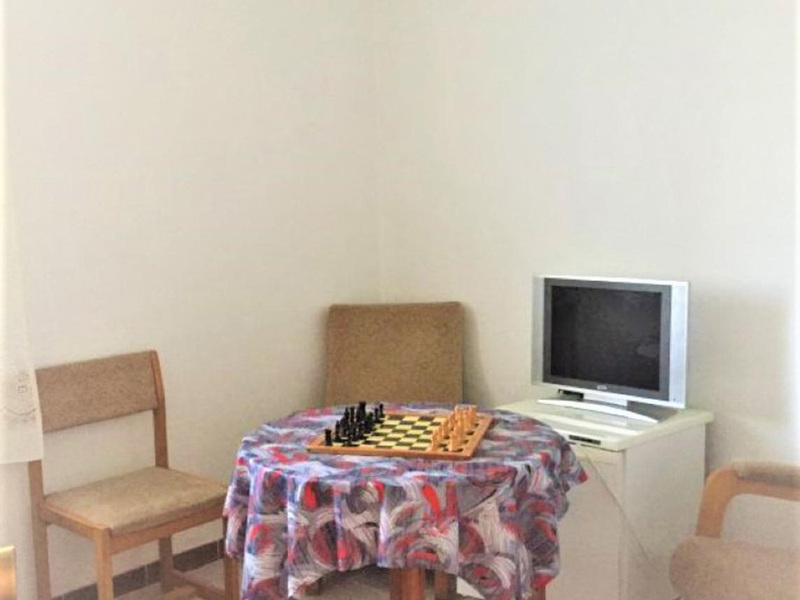 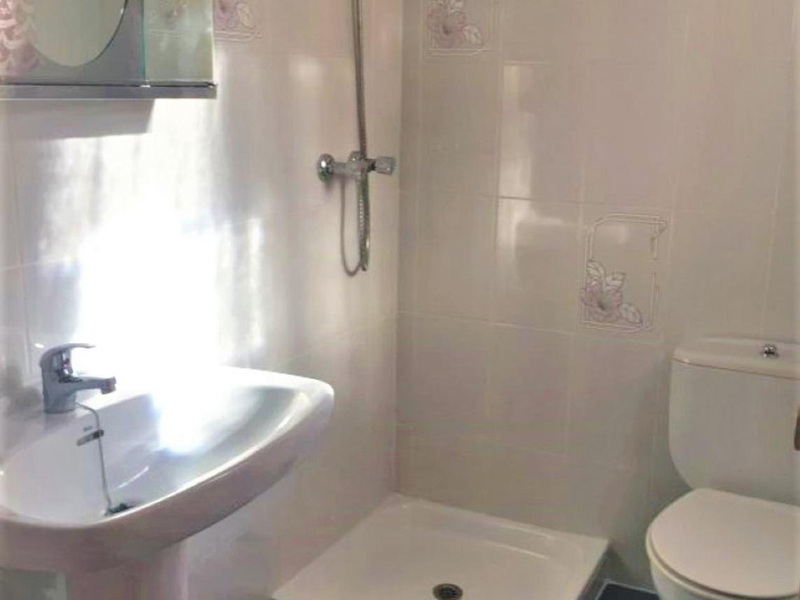 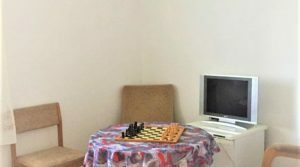 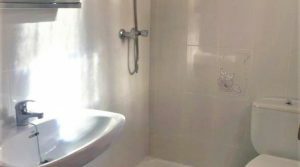 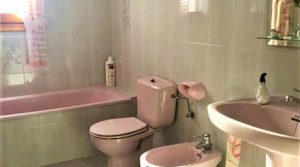 The property has been tiled tastefully throughout and good materials have been used in its construction. 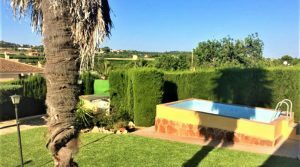 The exterior area is also of a high standard with tiled and hand laid stone terraces creating many areas within your gardens that can be enjoyed for play and relaxing. 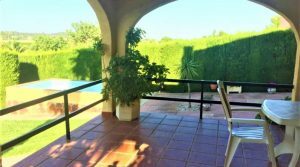 There is an outside kitchen/barbecue area to the side of the main villa. 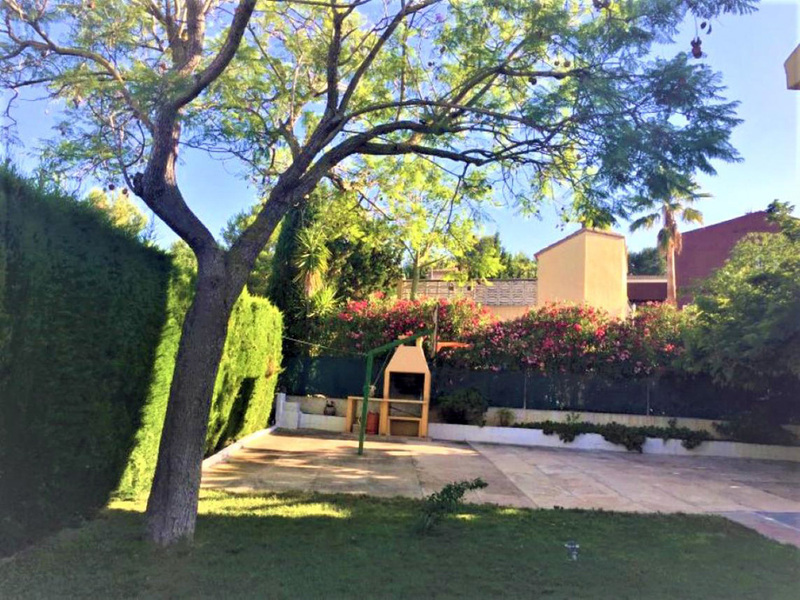 Within the landscaped gardens you have a good selection of flowering plants, trees and of course lovely palm trees giving this property a classy presentation.